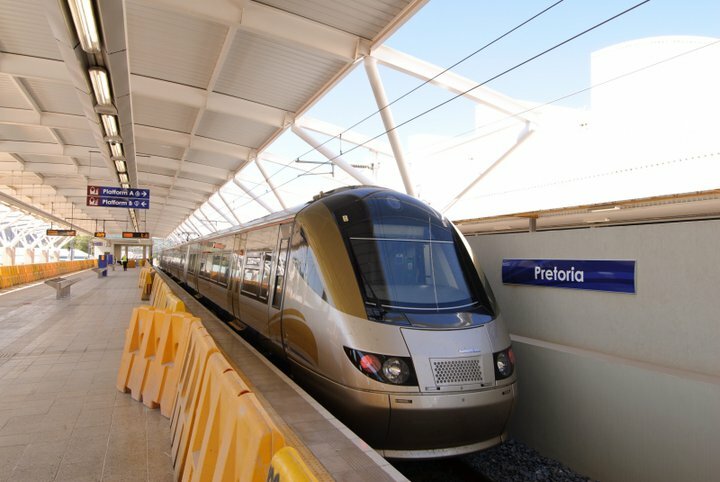 Gautrain is Africa’s first world-class, modern rapid rail and bus service for Gauteng, a province regarded as the economic heartland of South Africa. The Gautrain System has bicycle racks at each station (except at OR Tambo International Airport) where you can secure your bicycle and board the Train. Bicycles are permitted on the Train but current regulations require cyclists to contain their bicycles inside a travel bag. At present, my only form of transport is a bicycle. I was hoping to commute between Centurion and Johannesburg by cycling to the Gautrain station, taking the bicycle along on the train, and then cycle to my destination from the Rosebank station. Alas, one has to completely take apart a bicycle to get it into a bag, and the bag is so large you can’t really take it along on the bicycle anyway; it’s simply not practical. Without proper facilities for cyclists, the Gautrain is not of much use to me. And if I leave the bicycle at the station, what are the chances that it will still be there when I return? I have to wonder why, years after it started operations, Gautrain is still cyclist-unfriendly. Not allowing bicycles on trains?